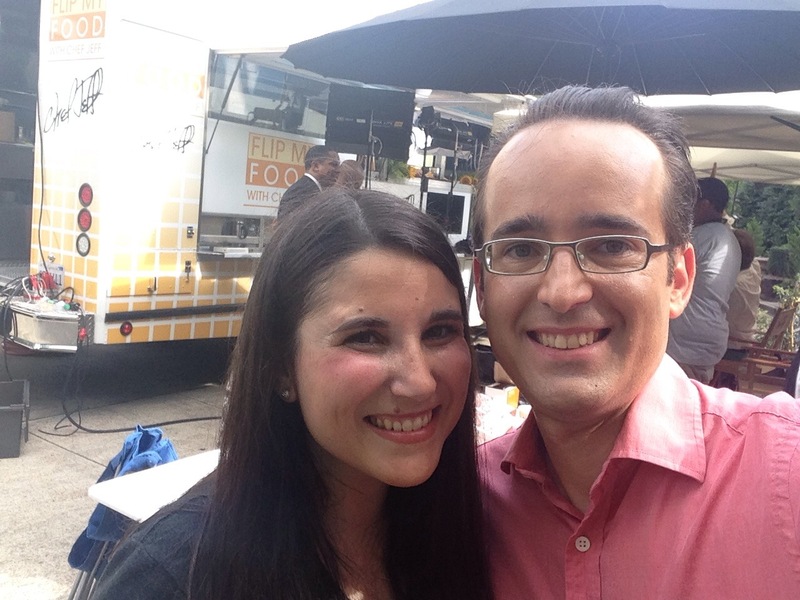 My lovely wife Jessie and I were asked this summer to appear on the television show Flip My Food with Chef Jeff. Chef Jeff worked his way up from prison dishwasher to eventually become the executive chef at the Bellagio Hotel in Las Vegas. Since then he has had a show on the Food Network and written a New York Times bestselling memoir. For the past few months he has been traveling around the south with his food truck teaching both professional and amateur cooks great ways to make the food that they cook healthier. From the audition process through filming, the entire process was laid back and fun. I had not been on the stage, so to speak, since playing James in James and the Giant Peach in middle school so I was not sure what to expect. I got there quite a bit early so I could watch the first guest cook with Chef Jeff. The crew introduced themselves and explained a little bit about how things worked. I found out we were making fish tacos which are one of my absolute favorites, but was also something that I had never cooked at home. Before I knew it I was in makeup and ready to hop onto the food truck. Chef Jeff took a moment to introduce himself and in short order we were filming. We used the box grater that I designed to grate the cabbage for the slaw, as well as my peppermill. 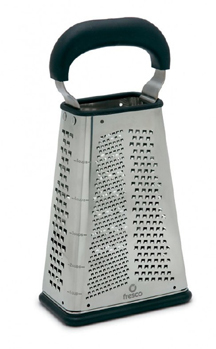 (Chef Jeff even liked my box grater enough to take one on the road with him which was super flattering.) My favorite technique that I learned was how to fry the farm raised ‘bama catfish on the stove. Though I have developed a taste for fried okra, pickles and catfish since moving down here I had not yet learned to fry anything at home. The result was a very light fish taco with a southern twist due to the use of lightly fried local catfish and vinegar slaw. The fried catfish was incredibly fresh tasting and the cabbage slaw had a bright vinegar taste and a great crunch to it. The spiciness of his sauce was not overpowering and so the crispy catfish, vinegary crunch, and the heat of the sauce were in perfect balance. It made for an amazing fish taco. My wife Jessie and I shortly before they begin filming her segment. My wife was up for filming next. I got to hang out with her for a few minutes before she headed onto the food truck for filming. Jessie and Chef Jeff made soba noodles with lobster which is making me hungry just thinking about it. My wife is extremely positive and upbeat and was great on camera. 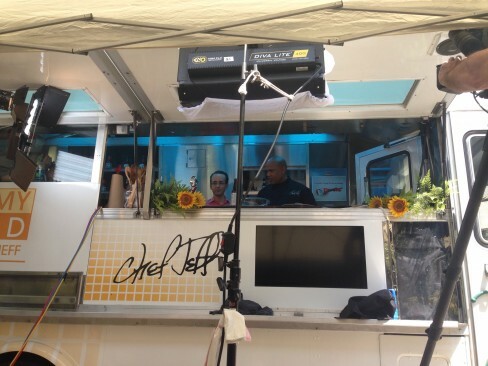 Sitting in a directors chair in the shade, watching Jessie and Chef Jeff play off of each other while they cooked together, I was able to think a bit about what an amazing experience this day had been. Our Episode of Flip My Food with Chef Jeff airs on Fox 6 on October 31st here in Birmingham at 11:30am Central Time.